Beaconhouse International Student Convention (BISC 2018) was recently held in Muscat, Oman this year which is their third instalment with a participation of around 200 students from five countries - Malaysia, Oman, Pakistan, Philippines, and Thailand. 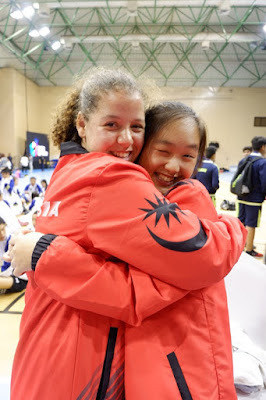 Leading up to the main event, thousands of students competed in their home countries in order to make it to the elite team that was sent to represent their nations. Held at the esteemed Sultan Qaboos Sports Complex in central Muscat, the Convention was graced by Mrs Nasreen Kasuri, Chairperson of Beaconhouse Group and Kasim Kasuri, Chief Executive of Beaconhouse Group along with honourables guests HH Sayyid Faris bin Fahar al Said, Chairman of the Board of Directors, Al Suwaiq Football Club, and Pakistan’s Ambassador to Oman Ali Javed and hosted by Mrs Zeba Masood, Principal of Beaconhouse School Muscat. 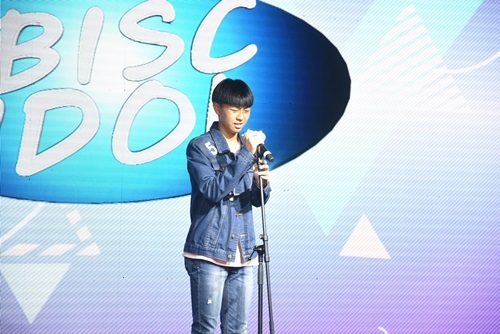 Themed “Multiple Literacies for a World of Tomorrow”, BISC 2018 featured a host of activities and competitions from various spheres of learning ranging from sports and athletics to science, technology, visual and performing arts and film-making. Beaconhouse has consistently endeavoured to inspire innovation and modernisation, reinventing the educational paradigm under the banner of 21st Century Learning. BISC is a manifestation of its ideology to push the boundaries and go beyond conventional teaching and learning within the four walls of the classroom. 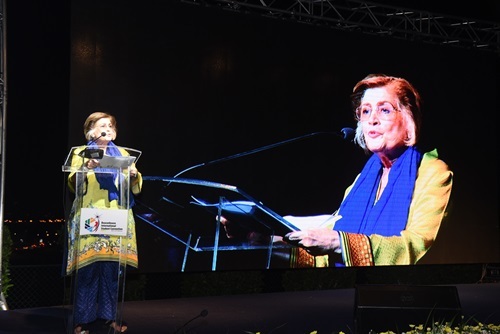 It aims to create a global community, giving students from Beaconhouse schools around the world an opportunity to interact with cultures different from their own and to learn from each other. Mr Kasim Kasuri, CEO and Founder of Beaconhouse Group said the strong network within the school group also allows for a stronger global apparoach and exposes the students to activities and experiences that may be challenging for other schools. “BISC just keeps getting better each year and we are proud to be the agent that unites students from around the world to compete, to learn, to have social and cultural exchanges and to create lasting friendships. 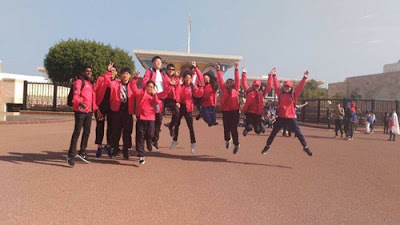 We are able to offer this to our students as we have a vast network of schools that spans from Europe to Asia. This ability to use our network to offer experiences to our students is what sets us apart from the rest,” said Mr Kasuri. Over 200 students from 5 countries participated in the sports competitions –swimming, futsal, table tennis, athletics and basketball, four exhibitions - BISC Biennale (Art), BISC Exploratorium (Science), BISCLICK (Photography), BISC Film Festival (Short Film Making), BISQUIZ Show, BISC Talk, and BISC IDOL. Beaconhouse Malaysia was represented by a delegation of 42 students and 6 officials who participated in swimming (Boys and Girls), Futsal (Boys & Girls), Table Tennis (Boys and Girls), Athletics (Boys and Girls) and Basketball (Boys and Girls). The Malaysian team was chosen through an inter-school carnival in Malaysia held between Beaconhouse Sri Inai, Beaconhouse Sri Murni, Beaconhouse Sri Lethia, and Newlands International School. 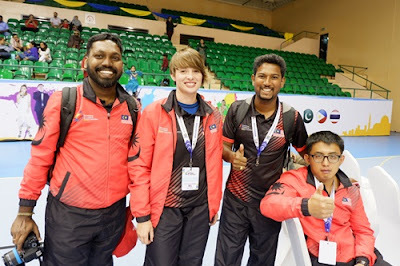 The Malaysian team started training in November last year with their coaches, S. Ashok Kumaran, Kugendran Murugeesan, Johnson Cheong and Rachael Sarah Ford and although there were many Malaysian holidays in-between interrupting the training momentum, the students gave their 100% which was apparent in their stellar performance at BISC 2018. Malaysia shone bright at BISC 2018 winning medals in 14 out of the 17 categories, and brought home 8 Gold medals, 10 Silver and 8 Bronze. With an emphasis on lifelong learners who are independent and productive members of the world, Beaconhouse encourages excellence in not just the academics but also sports, the sciences and the arts. This was clear as Malaysia brought home 26 medals, out of which 21 were for sports. 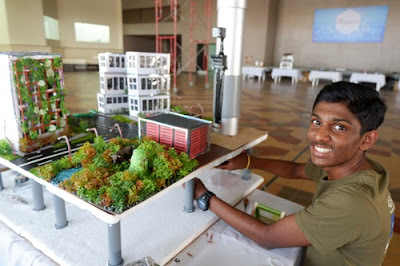 In the other competitions, Malaysia came out tops with a for BISQUIZ, a silver for BISC Talk and Bronzes for Biennale, Exploratorium and BISC Idol. 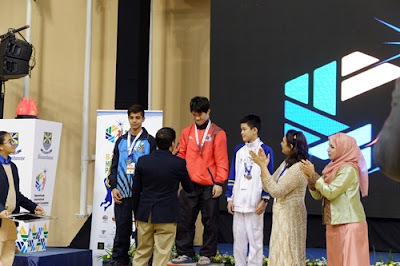 In sports, Team Malaysia bagged a gold for Basketball, one for Athletics (Girl) and one for Quiz whereas swimmer Simon Peter brought home 5 gold medals and also got an award for the Best Swimmer for BISC 2018. Indii Choon from the boys Basketball team was also named the Best Basketball Player. Ecstatic over his win and yet humbled at the same time, Simon Peter from Beaconhouse Sri Inai International still felt he had a long way to go in improving his swimming skills. 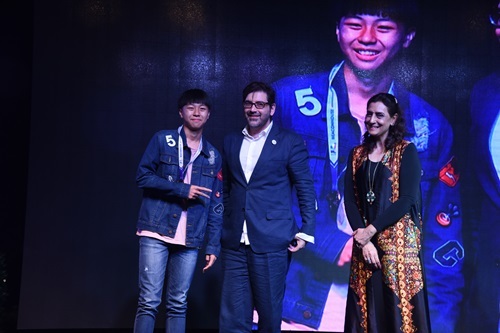 “I’m happy with the wins but I see this as an opportunity to push myself harder to beat not just the record times for Beaconhouse but eventually for the nation,” he said in true sporting spirit. It was truly a momentous occassion for Simon as he also celebrated his sixteenth birthday on the same day with his team-mates. 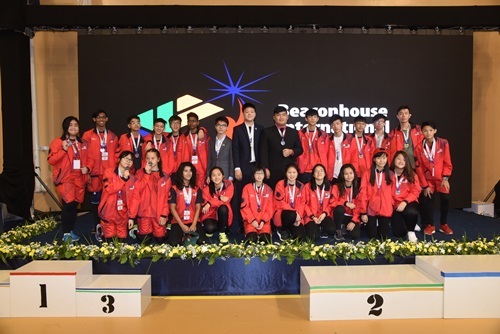 Anna Honeybee  from Beaconhouse Newlands international who competed in athletics and futsal took home gold for Athletics (girls) 400m, Silver for Athletics (girls) 200m, and Silver for Futsal said the experience was priceless. “This is such a great experience for me. This tournament has helped me see that it’s not just about winning but it’s also about making friends and supporting your friends no matter how they are doing. 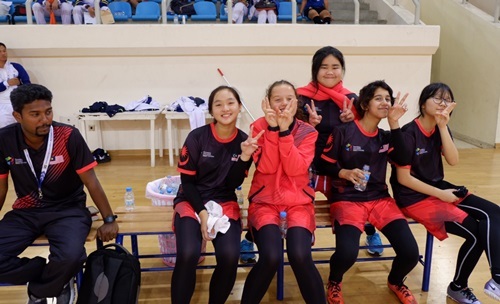 The students from Malaysia were aged between 12-16, hailing from different Beaconhouse Schools in Malaysia and most played together as a team for the first time. For many it was their first trip out of the country, for some it was the first time playing in an international tournament against other countries. 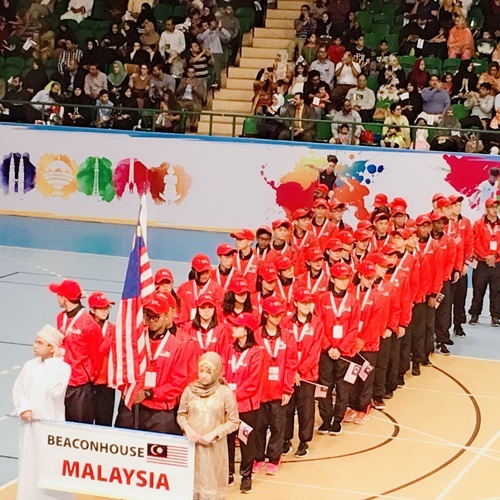 Congrats to all the students from Beaconhouse Schools in Malaysia for winning the medals. It is a good exposure for them to compete in an international tournament and encourage team work. We are proud of you and hope all of you could strive harder to makes us feel proud again on your achievements. Tahniah semua peserta. Kalian memang hebat mengharumkan negara. Hebatlah semua students dari Beaconhouse International ni. Tahniah buat semua pelajar yang menang. OMG I feel them the spirit. All the best to them. Recall me back to secondary , play hockey - friendly game with Dalat International school. And I believe there are supper talented. I hope one of the Beaconhouse internationa's reps ni akan jadi gold winner Olympics in the future. Kena bagi more guidance pd diorang ni..
Wow..congratulations to all the winner and all the student..they have done a very great job and gave a very good effort.. It was a good achievement for Beaconhouse Malaysia.congrats for winning 14 from 17 categories.that is very awesome..way to go for next year! The reason I liked here is that these Chicago event venues are so intimate and personable and while having astounding atmosphere! Really more suited and perfect for experiencing great food and having a good time. So nice to see new faces in sports industry. Hoepfully they keep the momentum and can represent Malaysia in bigger sport events.